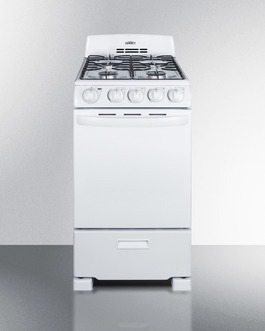 The RG200WS is sized at just 20" wide for an easy fit in smaller kitchen spaces. 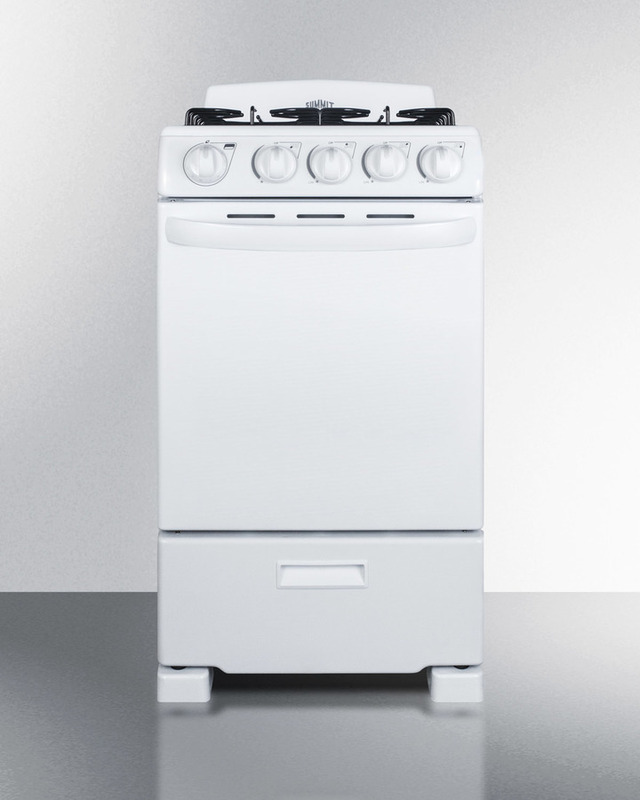 Two slide-out racks include a safety brake system, with four position options to let you accommodate all sizes and shapes. 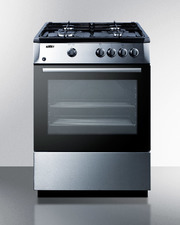 The broiler is located in a lower drop-down compartment. 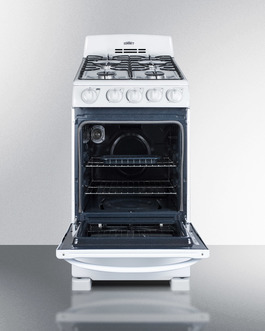 We include a two-piece broiler pan with lid. 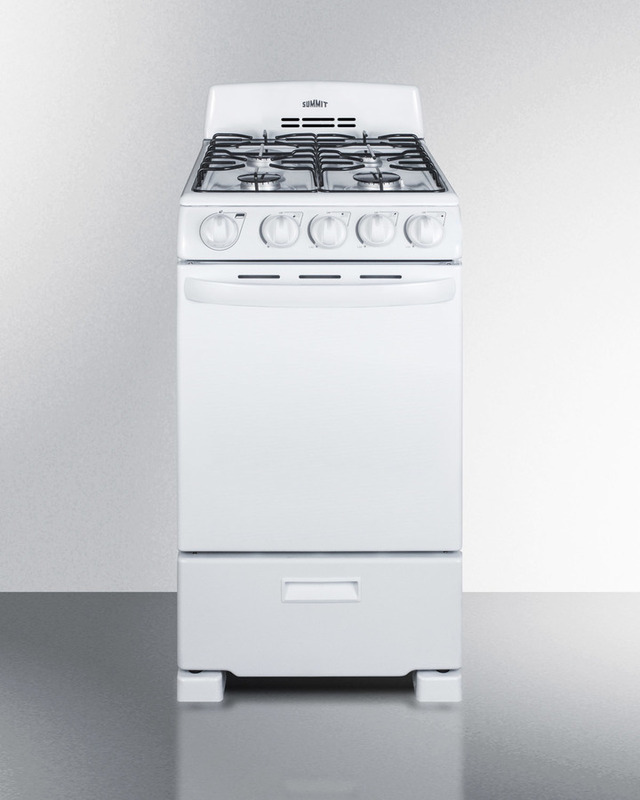 The RG200WS comes in a classic white finish, with color-matched push-to-turn knobs and an easy-to-grab handle. 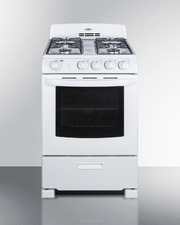 This model utilizes electronic spark ignition and features four sealed burners for safer, cleaner cooking. 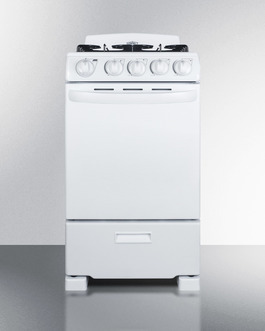 One 12,000 BTU burner offers faster cooking for larger vessels, with two standard 9,500 BTU burners and a smaller 5,000 BTU burner for lower heating needs. 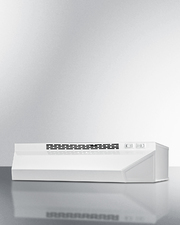 The high backguard helps to protect your walls from spills, with enamel grates for lasting durability. 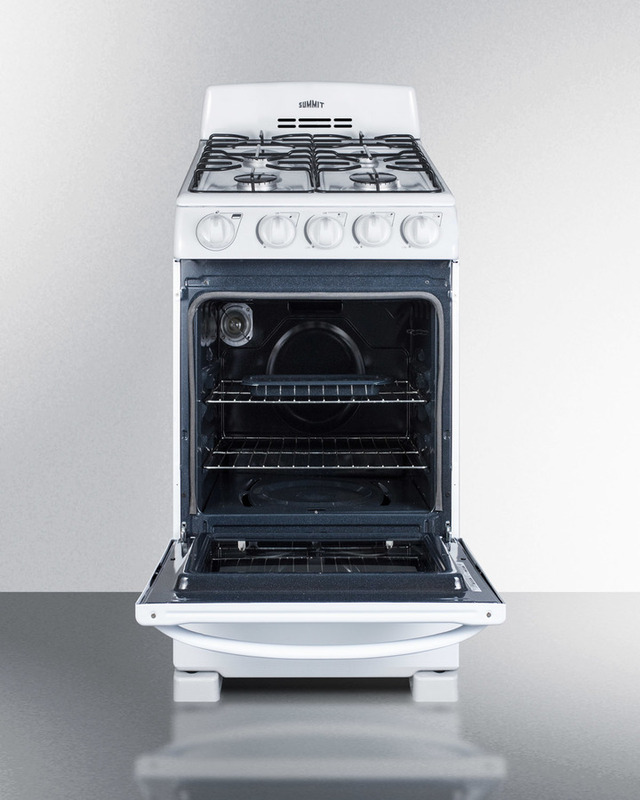 The unit ships set for natural gas but includes its own LP kit for aftermarket conversion. 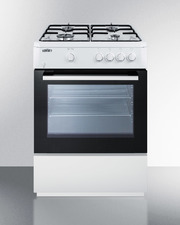 With its clean look and unique size, the RG200WS is the ideal gas range for apartment and small home kitchens. 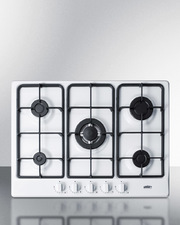 NOTE: This unit replaces model RG200W but features an upgraded sealed burner design.